Maybe you don't often get to tell your friend how much they mean to you? Or maybe the two of you just don't get enough time to go out and have a little fun together? 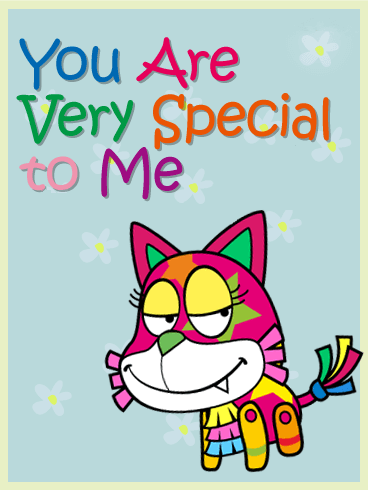 Either way, this brightly-colored friendship card, with its sassy Cat Piñata, is the perfect way to do both! 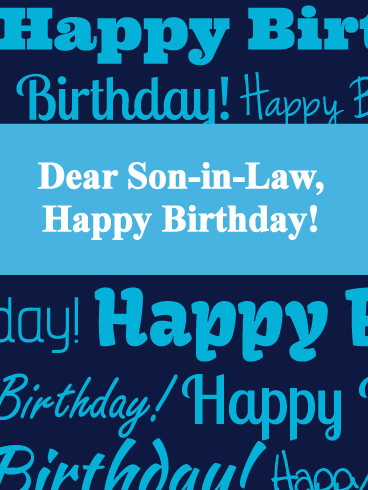 Your nephew's birthday should be a blast, which makes this card the best pick for helping him celebrate! A burst of blue fireworks in the background sets the tone for an unforgettable day. And a bold message in front brings your biggest, brightest wishes to him as he turns another year older and more awesome. 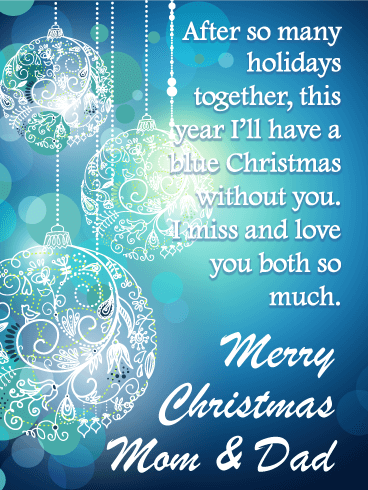 It's a special way to let him know you're thinking of him, even if you're miles away. This lovely contemporary Christmas card showcases a unique reindeer scene that will be sure to grab anyone’s attention! 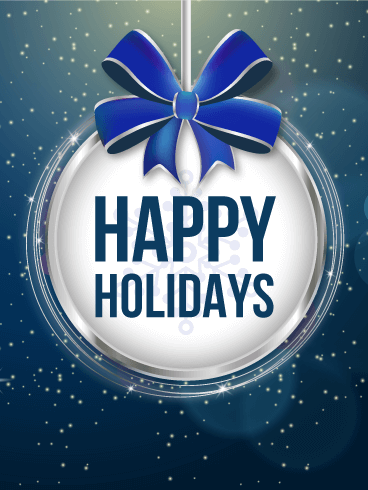 An all-white reindeer leaps across the sky followed by wonderful abstract shapes of blue, white, and bronze. 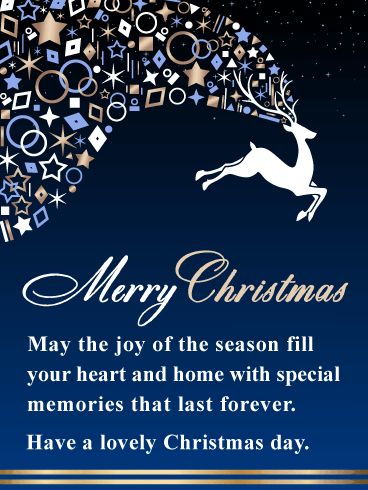 This contemporary Christmas card’s message contains thoughtful words that will wish the recipient joyful memories that last forever. 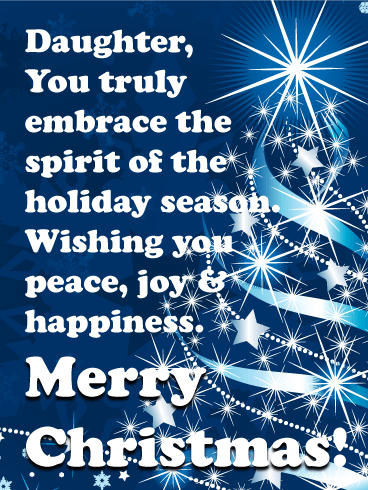 The beauty of this Christmas card will certainly brighten someone’s day. Here’s a card your son can take all the way to the bank…okay not literally of course. A cute blue piggy bank wearing a graduation mortar cap decorates this graduation card. Send the Wealth of Knowledge Funny Graduation card to your son– the owner of a brand new diploma! 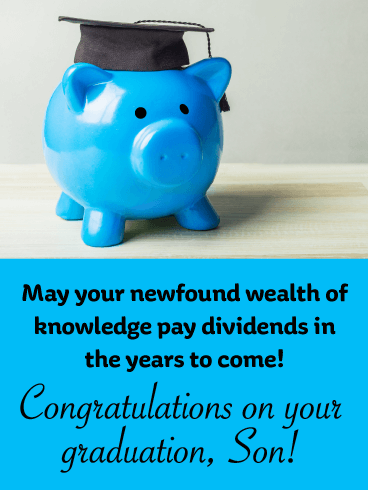 May his newfound wealth of knowledge pay dividends in the years to come! 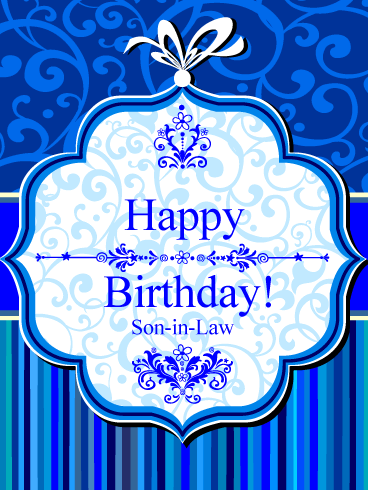 Need a card for your favorite grandson-in-law? 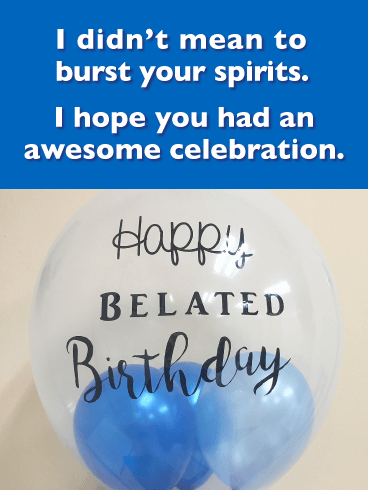 The Blue Balloons Happy Birthday Card is a lovely way to wish that man well this year. He’s a go-getter whose ambitions and goals are sky-high, so what better way to show your support of his life than a bunch of free-floating balloons? 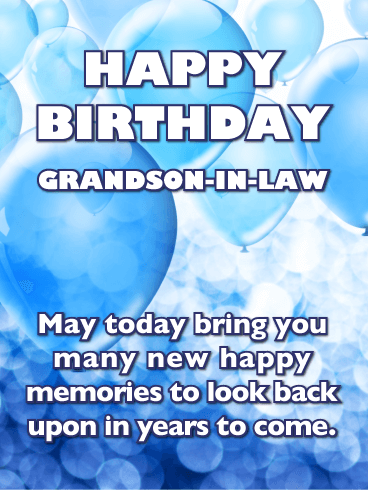 Let him know you’re wishing him many happy new memories this birthday! 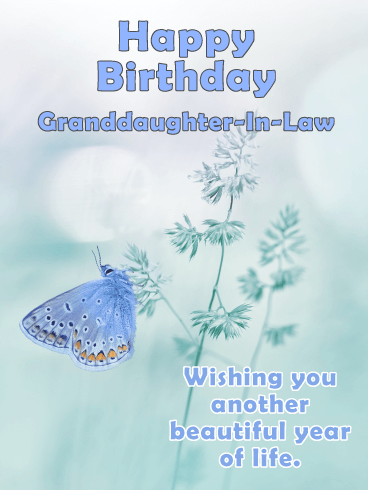 For your beloved granddaughter-in-law, we designed this beautiful Blue Butterfly Happy Birthday Card. Send this soft-focus photo card to wish that total sweetheart another amazing year of life. She has such a rich, full life ahead of her, and you want to cheer her on every single step of the way. Isn’t that what family is all about after all? 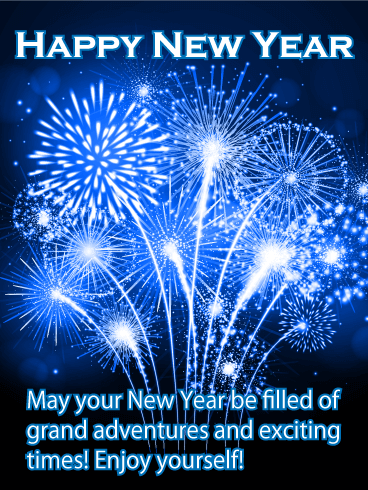 Birthdays are events filled with joy and well wishes; celebrations of all we have done and what we will do. 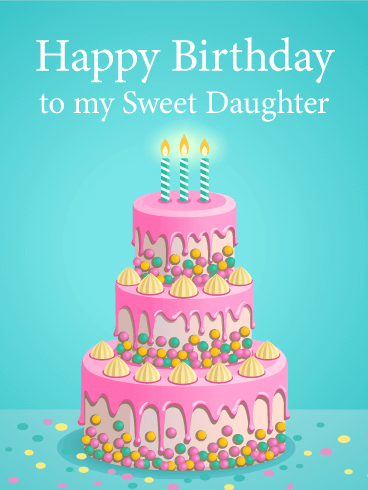 Send your greetings to the new member to the family with a wonderful birthday card. 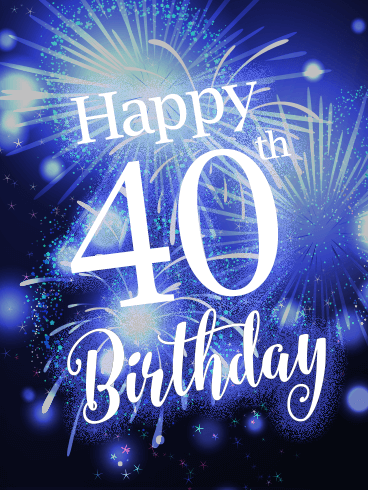 This timeless blue card filled with many “happy birthday” exclamations shows excitement for the day and your joy at his presence. After all, he’s family now and family deserves the best. 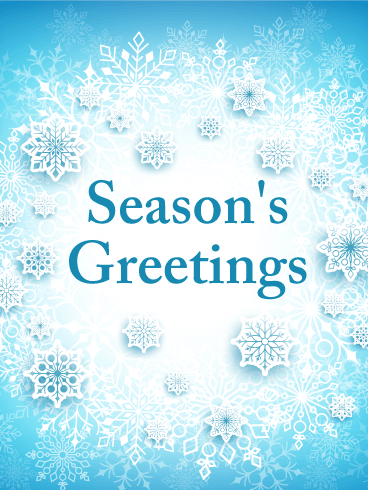 Gently falling snow, a square, blue gift box and some peppermint sticks. 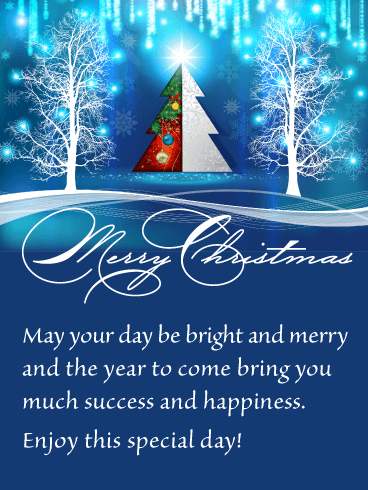 This Merry Christmas card is a wintery delight! 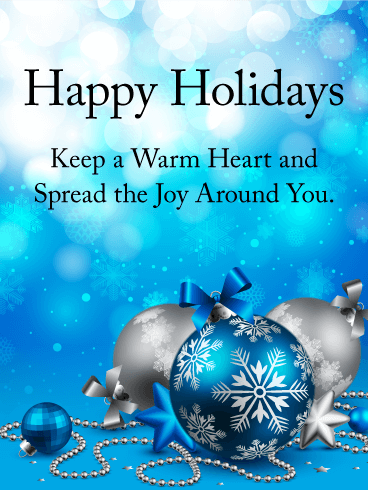 This holiday season send your sweet grandson the Candy Cane Wishes Christmas card! 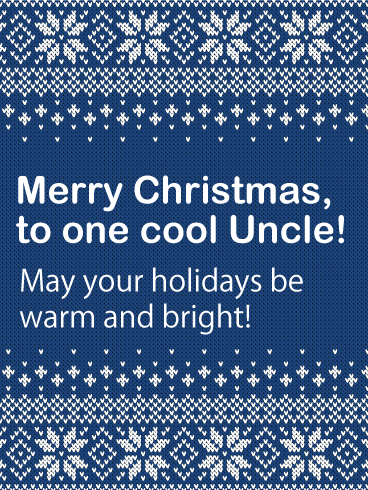 Make his day merry and bright by letting him know all the fun and joy you are wishing for him! He deserves good things all year long! For the son that makes life richer. For the boy that's sweet as pie. For the man that's smooth as chocolate. For the apple of your eye. You can count on him like candles. To any occasion he can rise. There is no situation that can't be handled, by a parent's favorite guy! 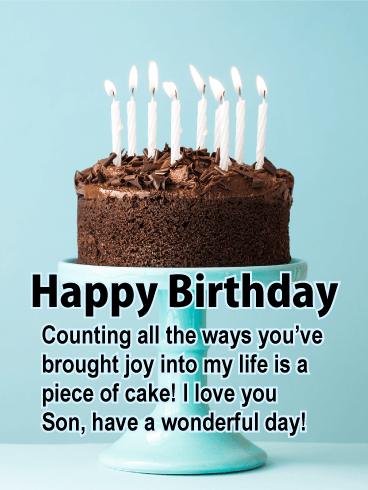 This Chocolate Cake Card for Your son is sure to be the icing on his Birthday celebration. You raised an incredible man and you should be so proud to call him your son! 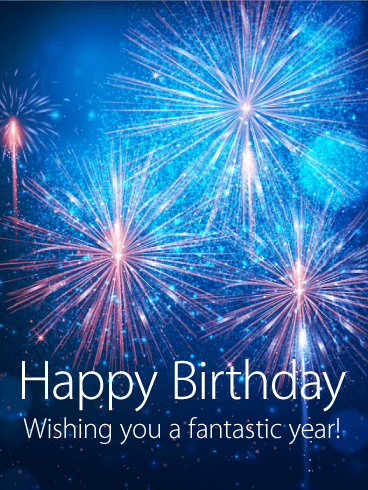 Send that wonderful soul this cheerful blue birthday candle card to urge him to make a wish! You just want to make him as happy as having him as a son has made you! 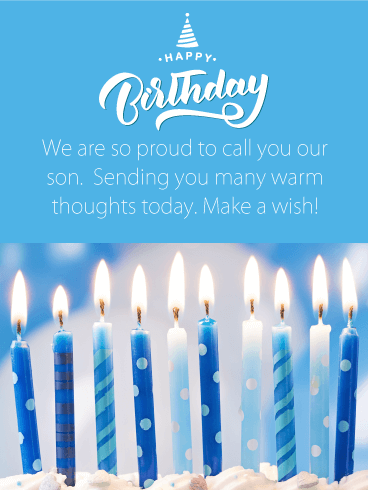 This happy birthday card will make him feel warm with love and appreciation! 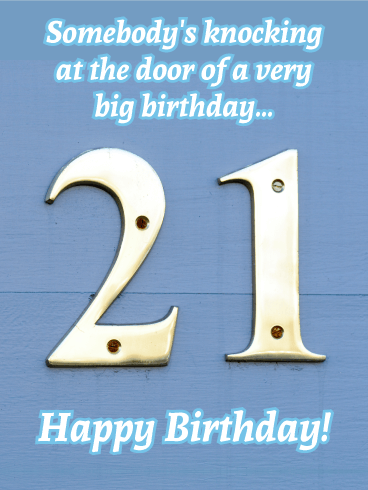 This unique card is the perfect choice for any special friend or family member who's "knocking at the door" of their big 21st birthday! 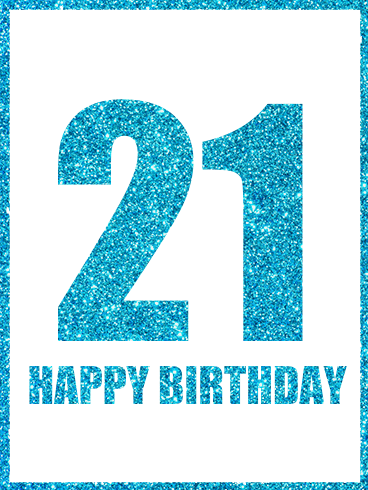 A gold-plated "21," resembling those you'd find on a front entrance, hangs from a blue background, prominently displayed to let them know you're thinking of them and wishing them well as they welcome this important milestone age. 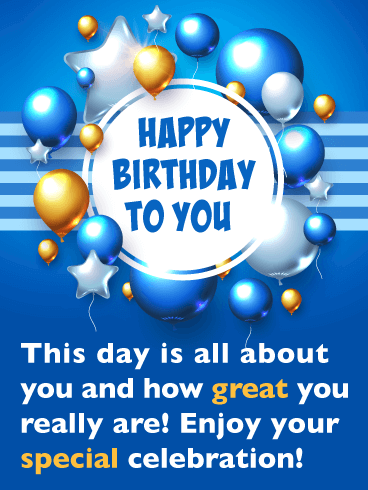 Don't be blue - it's your birthday! 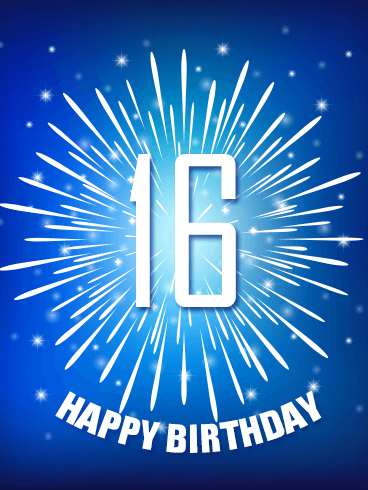 Every birthday is special, but 16th birthdays have a special meaning and excitement for every teenager. With a gift like this Happy Birthday card, you can use these fun blue colors and fireworks to increase the excitement for their special day! No one deserves an amazing birthday more than your loved one, so give them a birthday to remember! For that special boy in your life celebrating his first birthday, look no further than this fabulous birthday card! Primary colors have never looked so good! This birthday card is a seamless blend of excitement and simplicity. After all, the stars and balloons add a whimsical element, but they're not so busy that they take away from the main focus of the card. This birthday card is so awesome that it'll have everyone wishing they were turning four years old again. The faded background is simple but exciting, and the balloons add a whimsical element perfect for a child's birthday celebration. 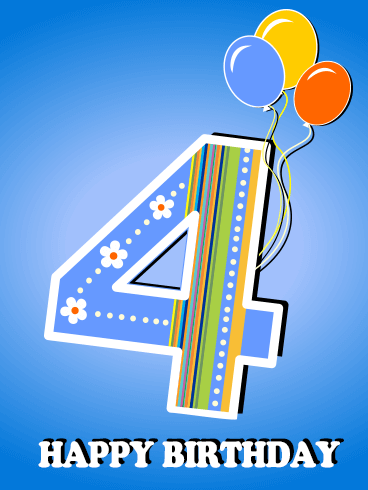 Don't forget to take a look at that number 4! The variety of patterns is gorgeous and sophisticated, but also tons of fun! This birthday card is simply marvelous in every sense of the word. 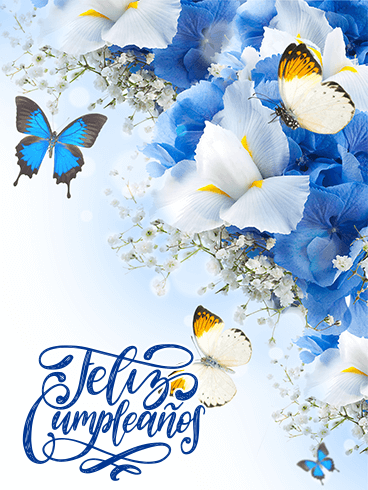 The soft variations of blues and whites makes this card a quiet surprise, while the delicate butterflies add a whimsical element. Isn't it breathtaking?! Feliz Cumpleaños is written in a gorgeous calligraphy, as well, making this a truly unique and winning pick for anyone in your life celebration a birthday. Raise a glass for being 30 years old! 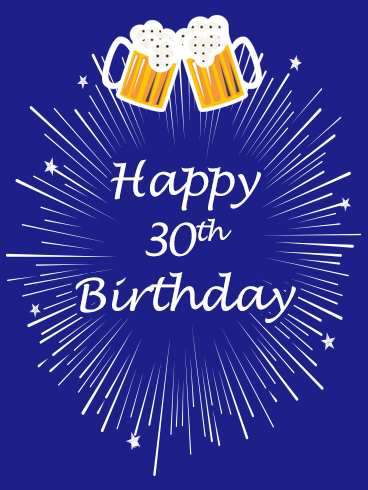 If your friend or family member is celebrating her 30th birthday, use this blue birthday card to share your birthday wishes and love! 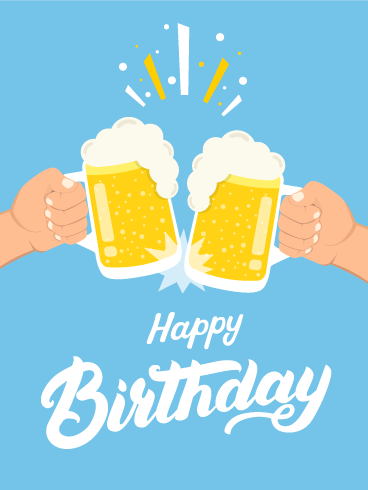 As you celebrate your friend and make the most of their special day, make a toast to show how much you love them and how excited you are for turning 30 in their life! 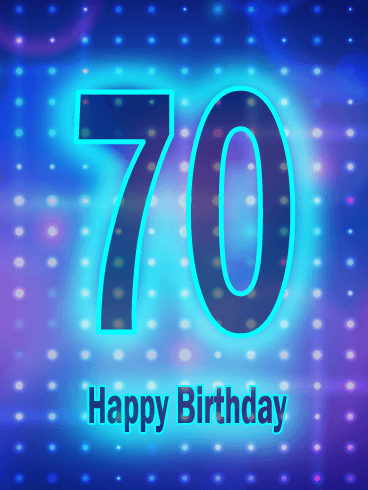 Hooray for a 70th birthday! This birthday card just screams fun, and what's more fun than celebrating a big birthday?! The neon blue outline of the numbers and letters adds a sort of science fiction flair, while the white polka dots balance it out nicely. This is a great pick for someone who enjoys a simple card with a pop of color. A 21st birthday? 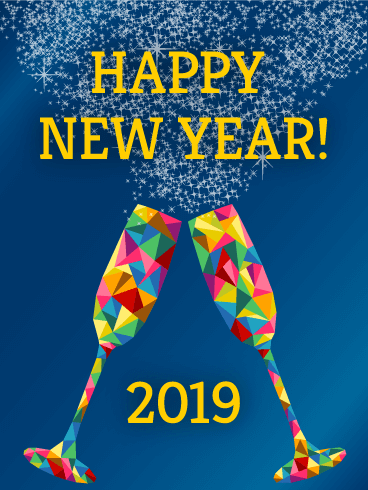 There is no other occasion that is as important or fun to celebrate! 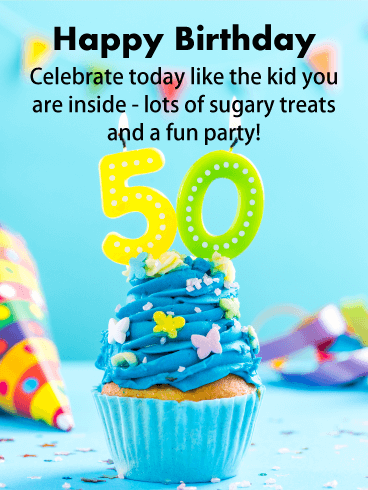 Your loved one is always ready and excited to celebrate your birthday, so it's time to pay the favor back by giving them a birthday filled with fun and awesome memories! 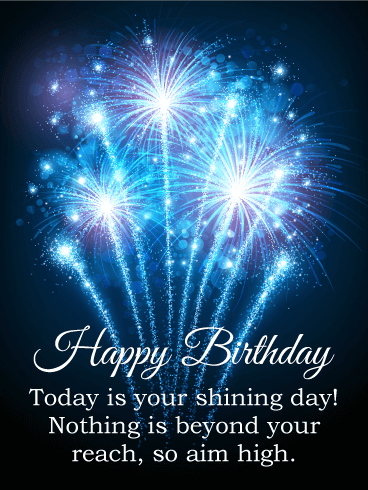 With the beautiful blue color and glittering letters on this Happy Birthday card, you can give them a birthday that is every bit as amazing as they are! Do you remember your 21st birthday? 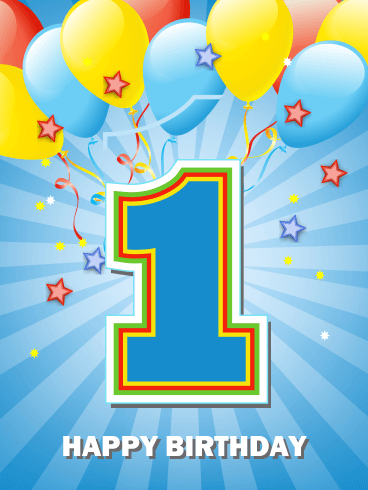 Were you filled with excitement and anticipation of your celebratory birthday drink? 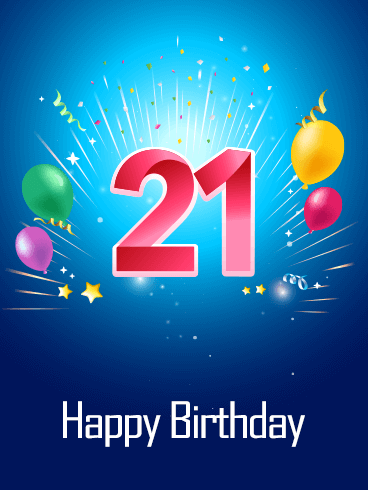 Now that your loved one is turning 21 and experiencing this same excitement, do your best to give them a birthday filled with balloons, confetti, and celebration -just like this Happy Birthday card! 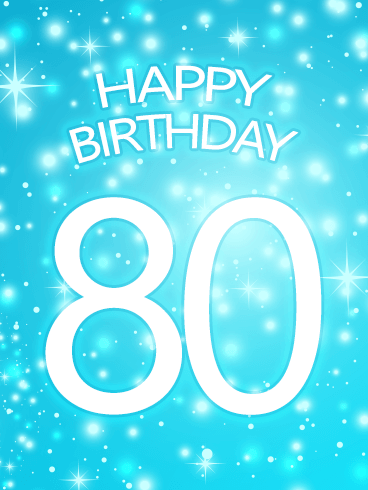 No one deserves a great birthday more, so send this birthday card to celebrate! It's your birthday? Then we will all raise a cold one to celebrate your special and important day! 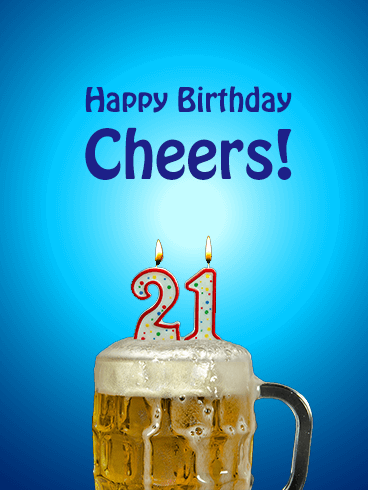 When a person turns 21, they celebrate one of the last big birthday milestones in their lives. 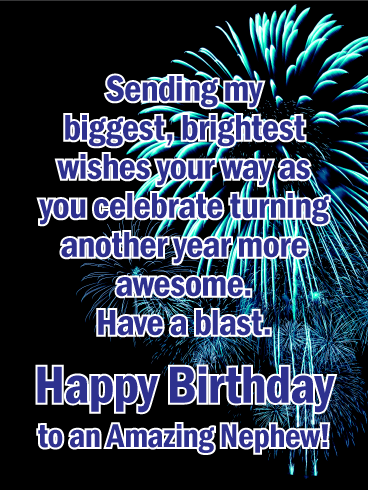 To make this special day even better, send this Happy Birthday card to celebrate! 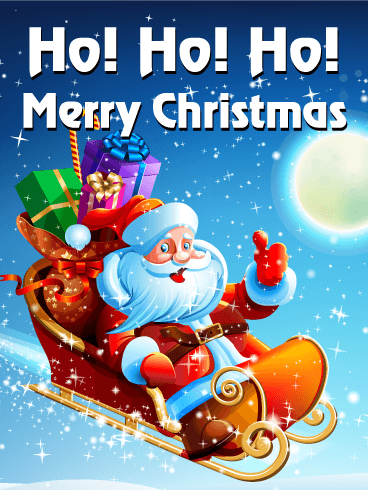 The fun message and humorous image will make them laugh and help them enjoy their day!